Japanese carmaker Toyota is to invest $500m (£387m) in Uber and expand a partnership to jointly develop self-driving cars. 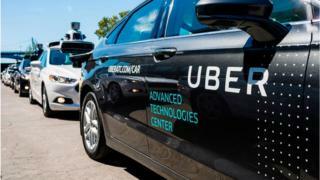 The firm said this would involve the "mass-production" of autonomous vehicles that would be deployed on Uber's ride sharing network. The fleet will be based on Toyota's Sienna Minivan model with pilot trials beginning in 2021. Shigeki Tomoyama, executive vice president of Toyota Motor Corporation, said: "This agreement and investment marks an important milestone in our transformation to a mobility company as we help provide a path for safe and secure expansion of mobility services like ride-sharing." Uber's troubled self-driving car efforts are in need of external help, and this deal with Toyota might provide that expertise. It's of course a terrific opportunity for Toyota, too. It was reported earlier this month that Uber was sinking around $1m-$2m into its autonomy work every single day. The results of that effort have not been something to be proud of - one fatal crash, one very expensive lawsuit, and not a lot of self-driving compared to the leader in this sector, Waymo. Sharing the burden, and R&D cost, will delight Uber's investors as it aims for its initial public offering next year. Meanwhile, shares in Toyota spiked at reports of the deal. Not surprising. Many analysts think personal car ownership will drop dramatically when the self-driving, ride-sharing future is fully upon us - with major companies instead purchasing enormous fleets of vehicles. Toyota, then, may have just secured its biggest ever customer. The US firm has also teamed up with Daimler, which hopes to own and operate its own self-driving cars on Uber's network. On Monday, Uber said it planned to focus more on its electric scooter and bike business in future, and less on cars - despite the fact it could hurt profits.